I hope you didn't like The Returned on A&E, because THR is reporting that the network has cancelled it. On the other hand, A&E renewed Bates Motel for another 20-episode pickup, giving it a five season run. That should make other fans pretty happy. Considering that the show premiered to season three ratings 30 percent lower than the previous season, I'm impressed they seem to be committing to 20 more episodes. Then again, things can change on a dime. 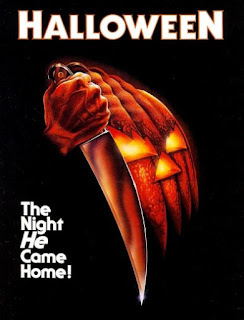 But back to the grind of reality, and that being that there will be another installment of Halloween coming to theaters in the near future, called Halloween Returns. The script is penned by a few SAW writers, so that should be disgustingly good. Is Michael Myers the original zombie apocalypse monster? Has anyone ever tried stabbing him in the brain, or cutting off his head? Just wondering out loud. Have you seen the latest trailer for the latest Halo game, Halo 5: Guardians? It looks like the sequel, Pitch Perfect 3 has landed Anna Kendrick and Rebel Wilson, reprising their roles of Beca and Fat Amy. At this time, the slated opening date is July 2017.